I decided to take a break from the Instapicks Of The Week post, seeing as the last one was on Wednesday, and instead do one of my long overdue product reviews. I can’t even remember when I bought this product because I’ve had it for so long. As you can see, it is even dusty. So let’s get into the nitty-gritty. Water (Aqua), Olive Oil, Hydrolyzed Oat Protein, Hydrolyzed Soy Protein, Glycerin, Dimethicone, Polyquaternium-32, Dicetyldimonium Chloride, Cetyl Alcohol, Lanolin, DL Panthenol, Sodium Lauryl Sulfate, Menthol, Camphor, Cholesterol, Benzophenone-4, Tocopherol Acetate (Vitamin E), Retinyl Palmitate (Vitamin A), Egg Protein, Carrot Oil, Tea Tree Oil, Kukui Nut Oil, Parsley Flakes, Extract of Arnica Montana Flower, Centella Asiatica, Urtica Dioica (Nettle), Mentha Piperita (Peppermint) Leaf, Capsicum Annuum and Cochlearia, Aromoracia (Horseradish) Root, Propylene Glycol, Methylparaben, Proplyparaben, Dmdm Hydantoin, FD&C Yellow No.5 (CI 19140), FD&C Yellow No.6 (CI 61565), FD&C Blue No.1 (CI 42090), Fragrance (Parfum). I highlighted the ones that may be of concern to some people. This product comes in a whooping 30 oz/ 853g tub. The packaging isn’t so fancy. The product itself has a light green colour with green particles (I guess those are the parsley flakes listed in the ingredients). I can’t put my finger on the exact smell but it smells like body lotion(my sister said it smells like the bleaching variety). The consistency is also like body lotion. I saturated my hair with this product after shampooing and covered with a plastic bag for 45 mins or more. Sometimes I mixed it with other things e.g another conditioner, oils. One time I just rinsed my hair with water alone as I was too lazy to shampoo and then deep conditioned with this. Super cheap. For about 800 naira, you get a huge tub. Unlike some products that lie, it has some of the ingredients mentioned in its claims listed high up on the ingredient list e.g oat protein and olive oil. It also has some good ingredients. It is somewhat moisturizing. Mostly when mixed with other things e.g oils, another conditioner. Good for both natural and relaxed hair. Can double as a moisturizing and a light protein treatment. It is difficult to rinse out. Imagine trying to rinse Jergens body lotion out of your hair. Especially if you are like me and you deep condition and rinse with your hair in twists. And they said you should massage it into your scalp? Tufiakwa! In their defense, they said rinse with warm water but I always use cold. It leaves flakes behind. Those parsley flakes will leave your hair looking like a plate of that Indomie that has a green pack. It is not very moisturizing. It’s just okay in this department. It doesn’t have that much slip. It’s also just okay in this department. The smell might not be your cup of tea. It is certainly not mine. It has a couple of bad ingredients. May I ask what Sodium Lauryl Sulfate is looking for inside a deep conditioner biko?! I honestly don’t think so. It’s not a bad product but I’ve had this one jar for so long and I’m never really eager to use it so I don’t think I will be repurchasing. I still think you should try it however because it’s cheap and it might work for you. I got this at Spar (Park ‘n’ Shop) but I think it is relatively easy to find in local supermarkets. Have you tried this product before? What did you think? Would you give this product a shot? Lmao! Don’t worry it is soooo much better than the banana DC. I actually love this product. It works so well for me. Glad to hear you had a positive experience with it. Goes to show that what works for one head of hair might not for another. Noooo, I love this DC. They stopped selling it in my area and I had to go all the way to eko market to get it. If I mix this with some honey and a bit of olive oil and leave for an hour or so I get wonderfully moisturised clumped curls :D. But that said, every product can’t work for everyone. Oh wow, you really do love it! Yes, it definitely works better mixed with other things. You’re so right; every product can’t work for everyone. I do love this conditioner, I overlook the ‘funny’ ingredients because it works. The only downside is the flakes really. It has good slip (perfect for detangling) and it is quite moisturizing and strengthening too. It was my holy grail products when I first went natural. Ah! I am the only one that doesn’t like this product oh. You guys are making me consider giving it another shot. LOL. Would love to try it. But i read abt using food mayonaise is it a good or bad idea. Would really like to know. 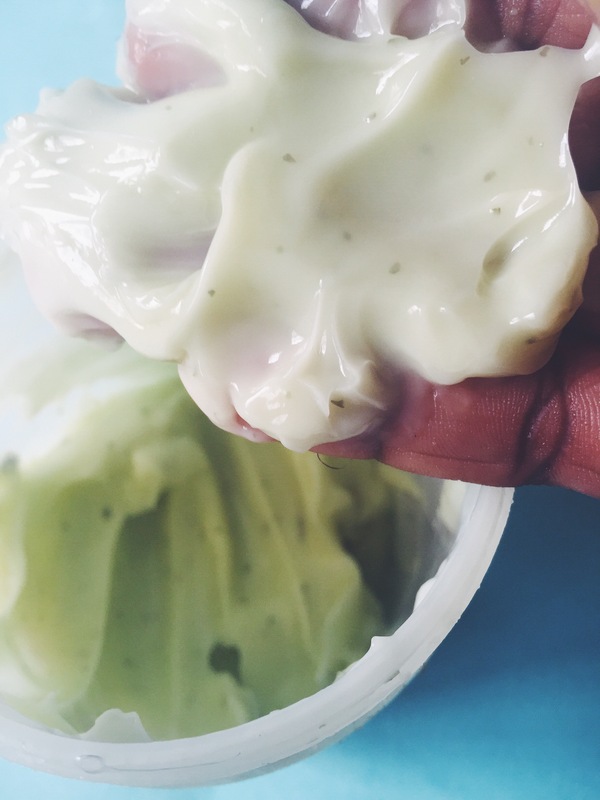 Food mayo is a good idea as a protein treatment since it’s mostly made of eggs and oil! I’ve tried it and it wasn’t bad. I have natural hair and I love the way it’s been rock now, the curls, the way it shines and other stuffs like that. But i don’t know how to go about it. Can you help me with names of hair treatment for natural hair and other things I will need for the hair. Thanks and God bless. You can start with the basics: shampoo, (deep)conditioner, leave in conditioner and oil/butter. From there, you can decide if you need more products like curl enhancers, gels, protein treatments etc. There are so many brands on the market to choose from. I suggest you read reviews and try different things till you find the ones you love. You also need to build a regimen. Study your hair and see how often it needs washing, conditioning and moisturizing and work from there. I saw the leave in conditioner but I didn’t buy it because it was like an liquid gel spritz. Great review though! I’m transitioning (10 months) and I have been using this product for the last 5 years, and my hair loves it. I used to use the leave-in conditioner as well, which worked great for my relaxed hair, but not so much for my natural hair. 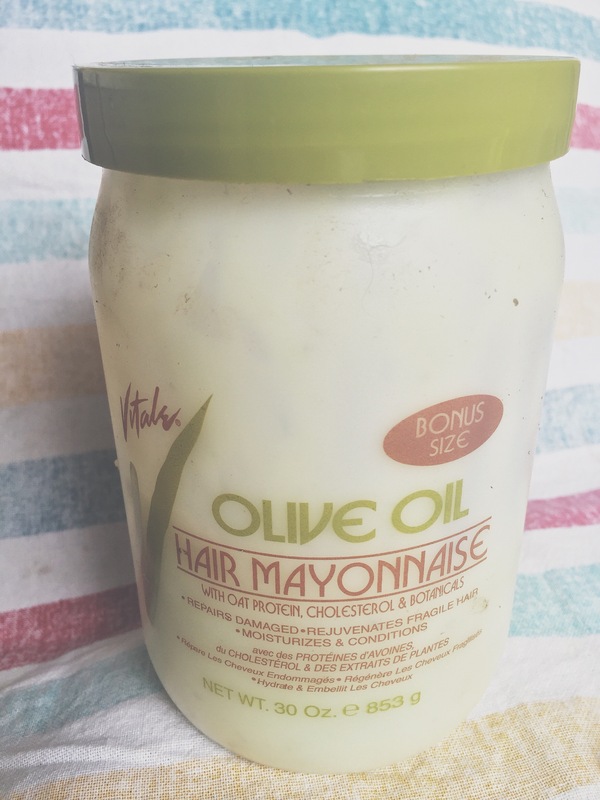 I’ve changed leave-ins, but I continue to use the hair mayonnaise every week to deep condition. It’s a light protein treatment that moisturizes and gives my hair great slip, so its a keeper for me. But me I had the same experience Jenn had o.